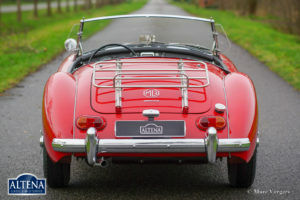 MG MGA 1600 Mk II roadster, year 1962. 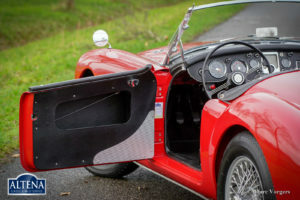 Chassis number GHNL210080X. 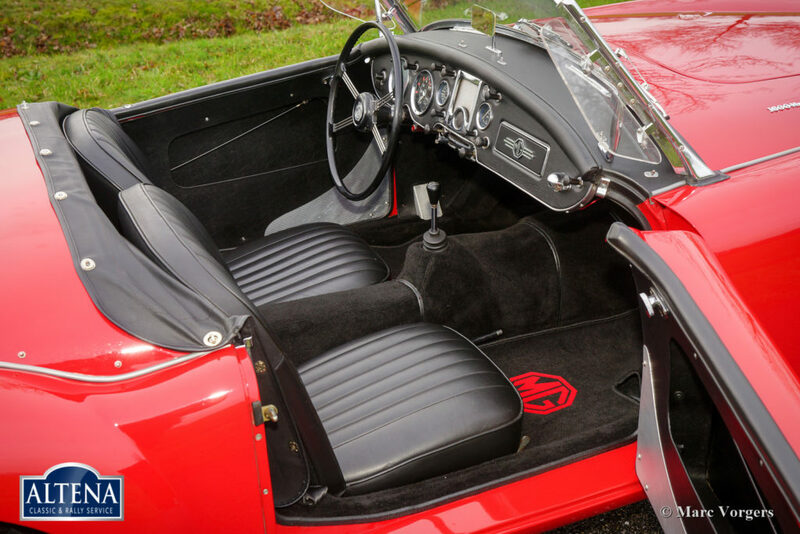 Colour red with a black leather interior, black carpet and black protective mats with red embroidered MG logos. 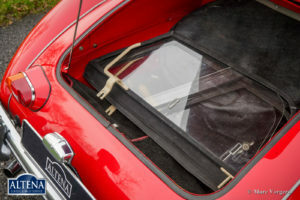 Black soft-top, tonneau-cover and side-screens with black frames. 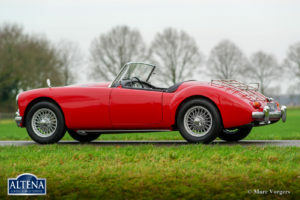 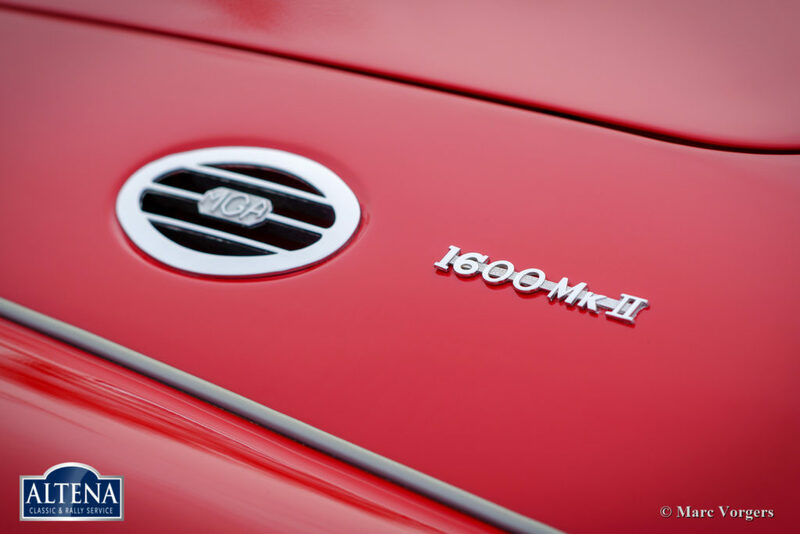 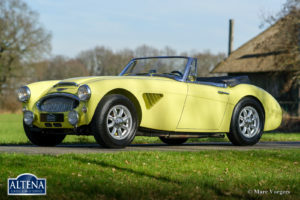 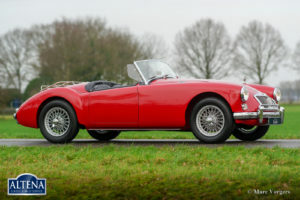 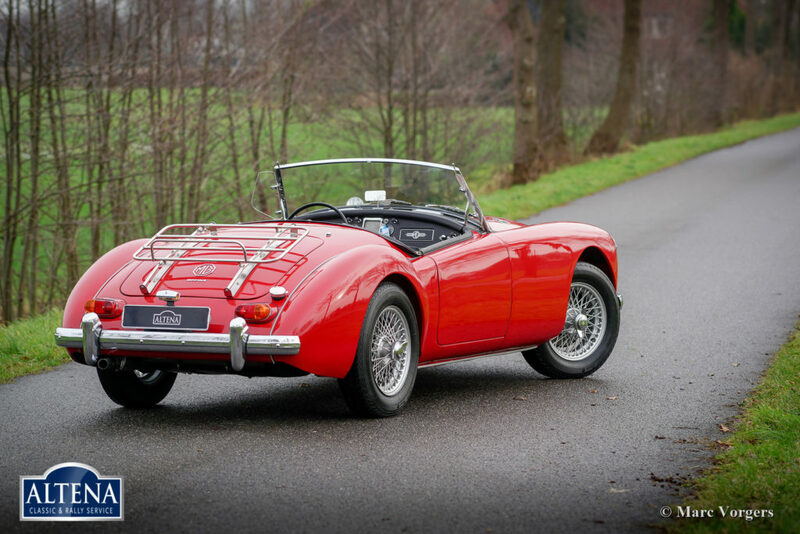 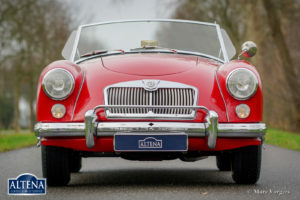 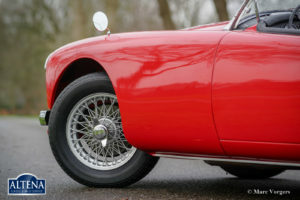 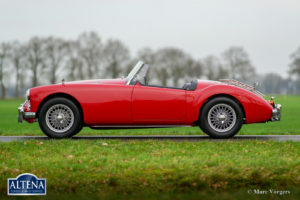 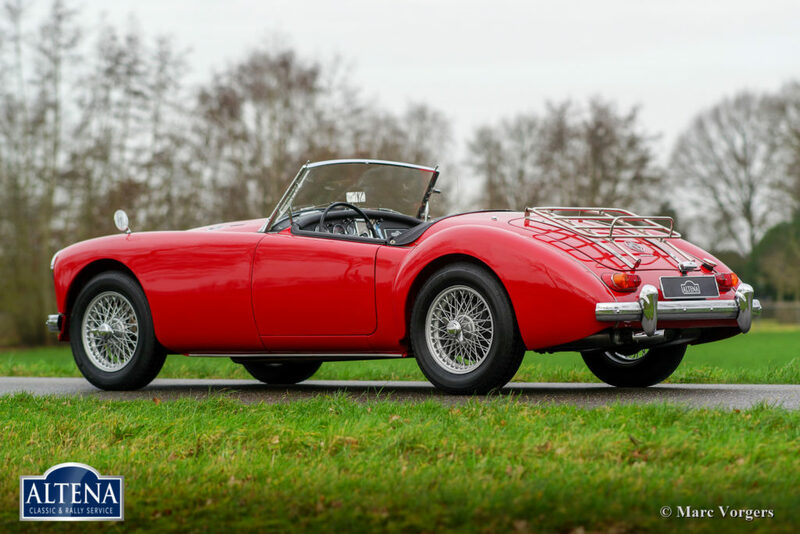 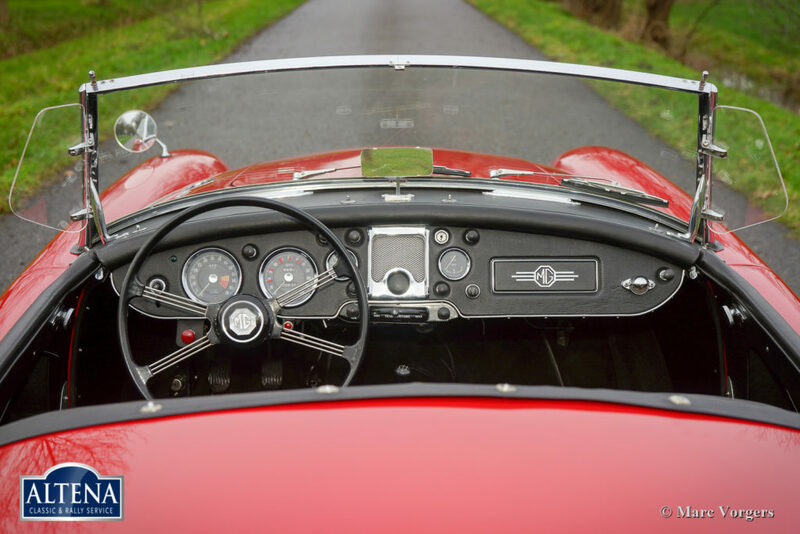 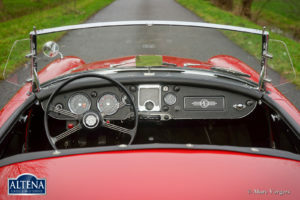 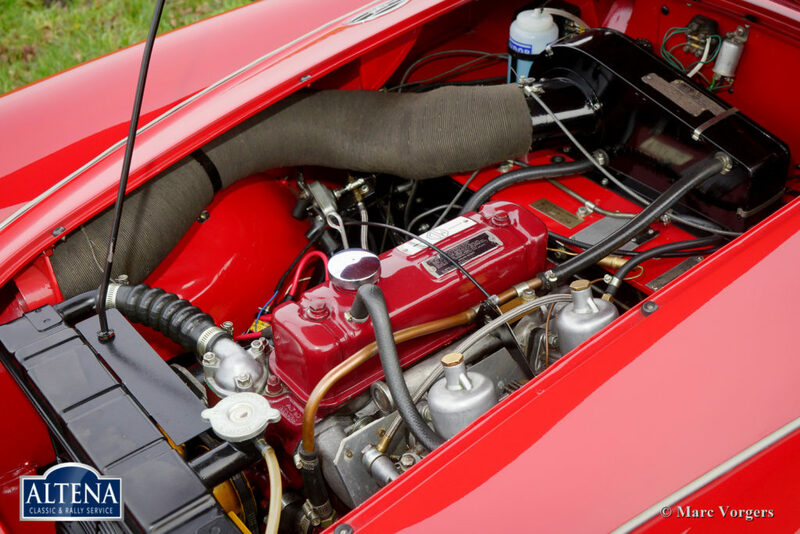 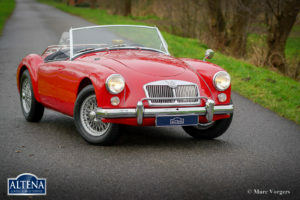 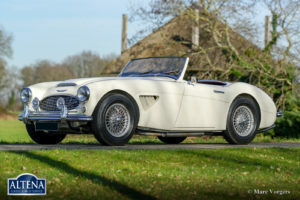 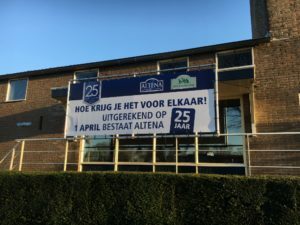 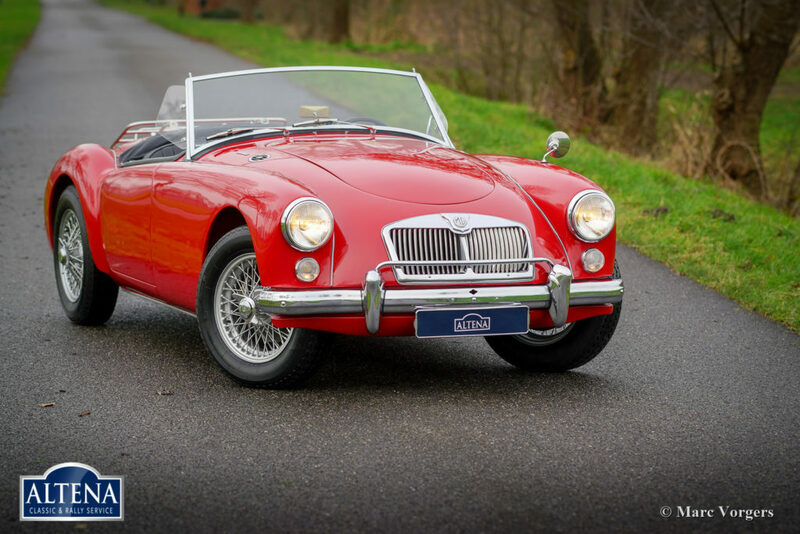 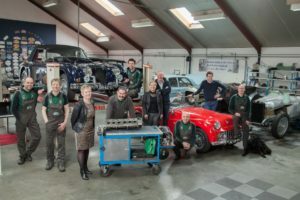 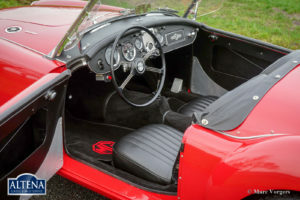 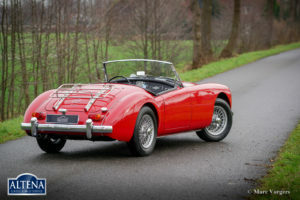 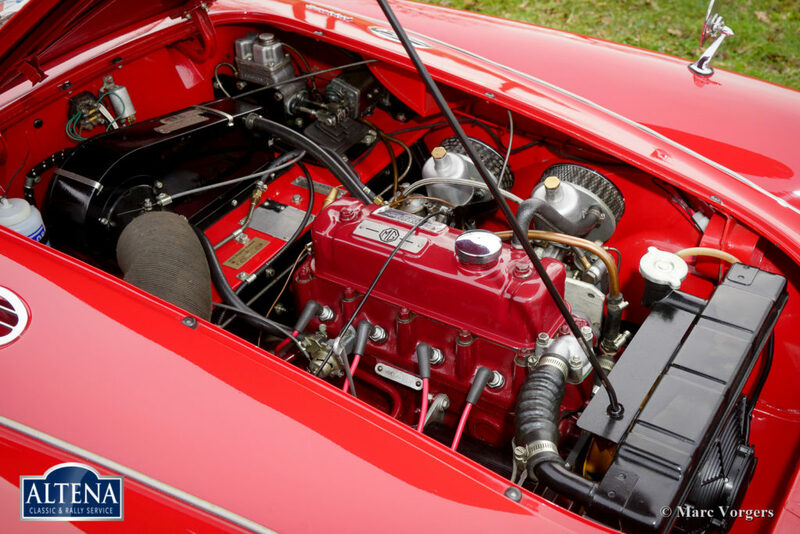 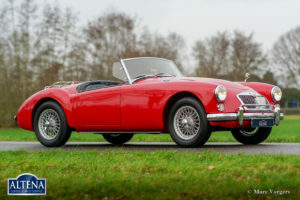 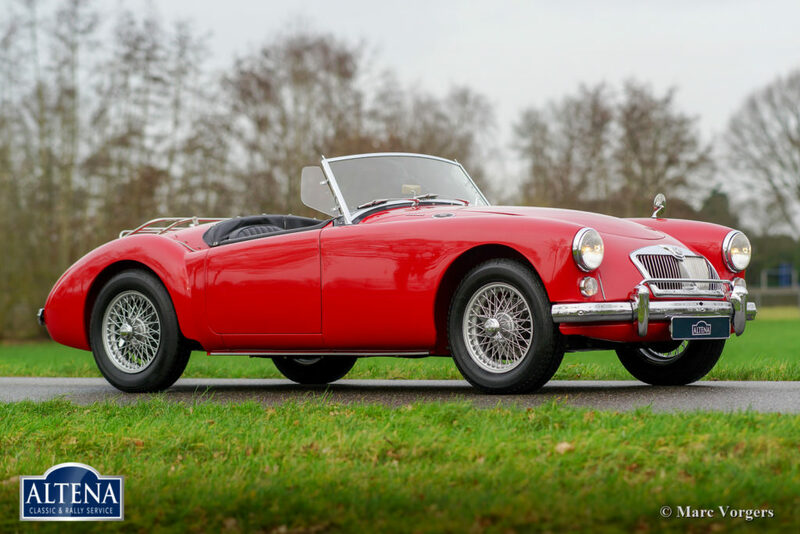 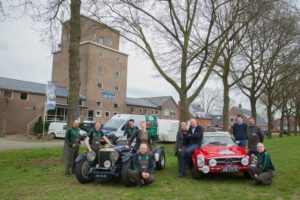 This gorgeous and quite rare (8719 cars built) MGA 1600 Mk II was extensively and beautifully restored in the Netherlands, a photo reportage of the restoration is present. 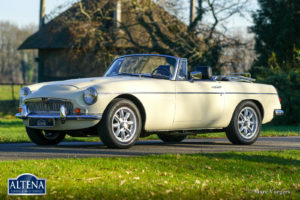 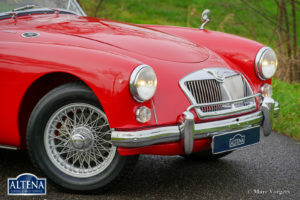 The automobile is in superb top-condition (concours), the car shows all the original details, and the MG drives superbly! Also, the underside of the car looks perfect. 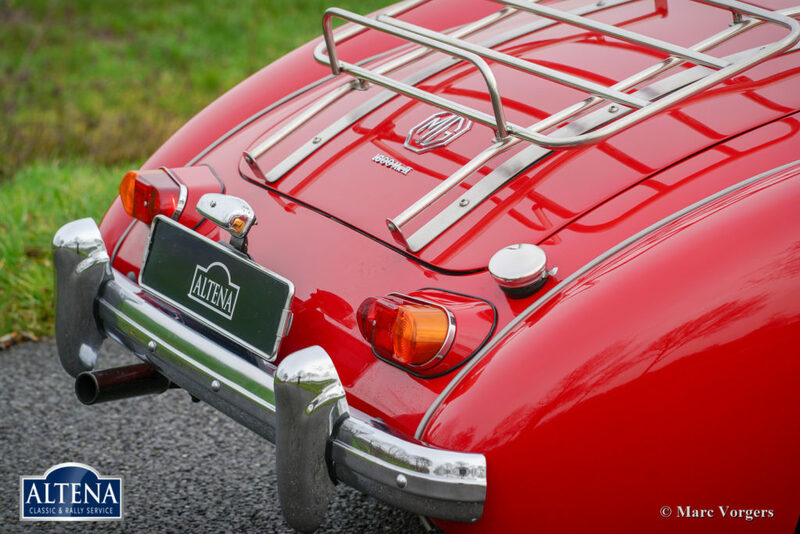 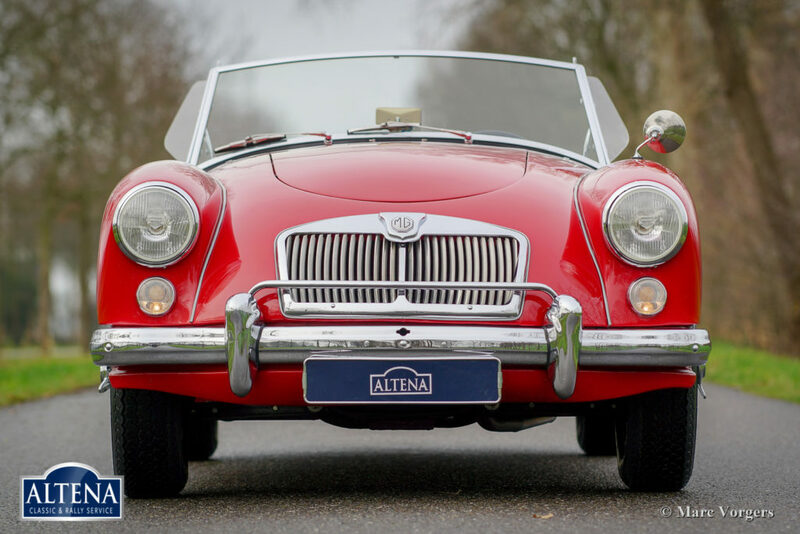 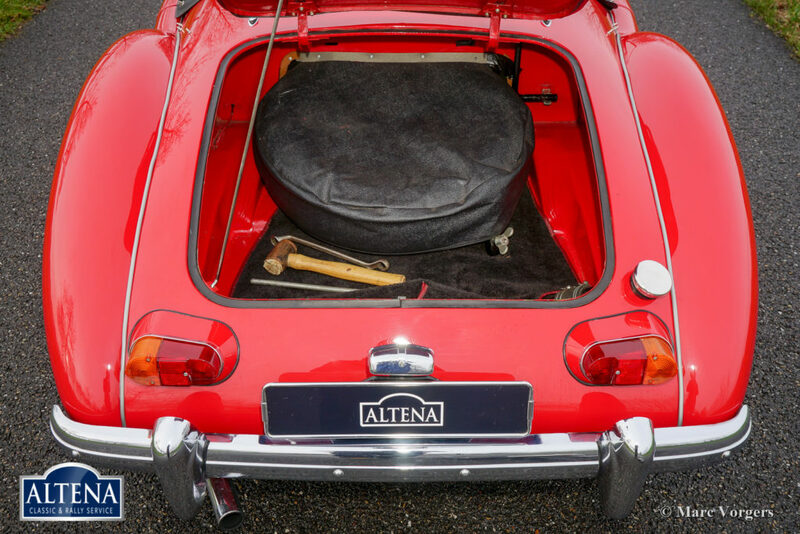 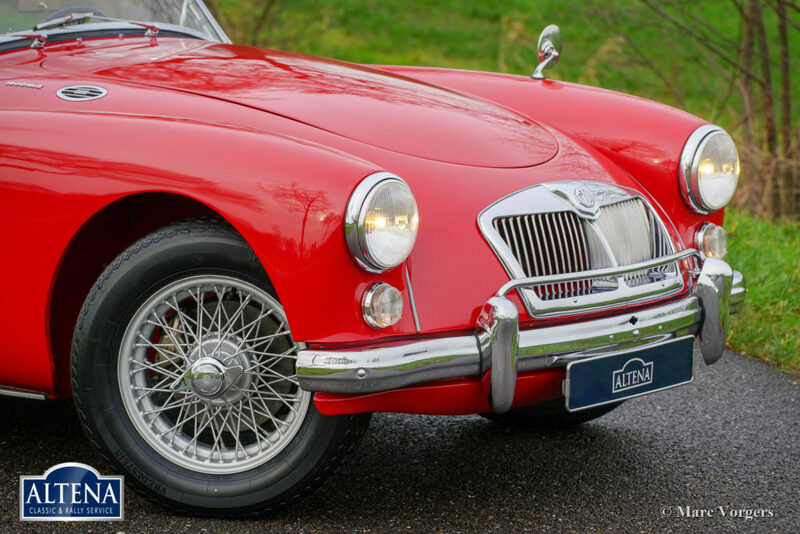 This fine MGA Mk II features silver painted wire wheels, Vredestein classic tyres and a chrome luggage rack. A top specimen!